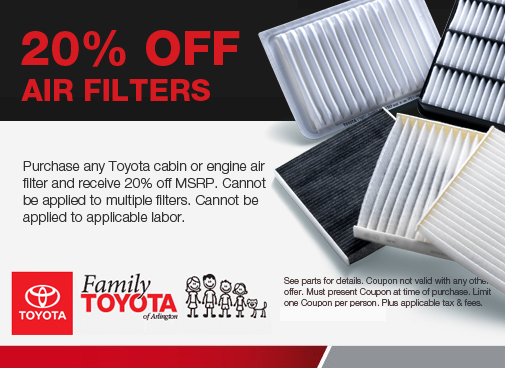 When you’re looking for quality factory parts custom made for your Toyota car, truck, van, or SUV, our inventory at Family Toyota of Burleson has the replacements, filters, and accessories you want. 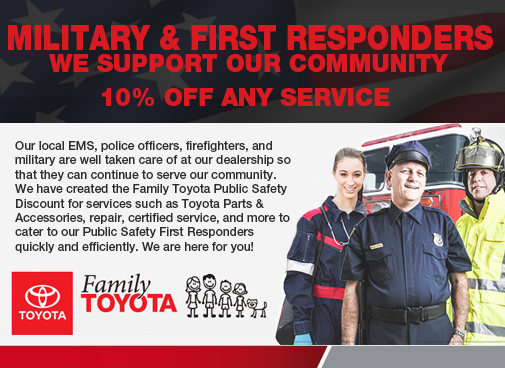 Whether you’re looking for parts for a home project or if your vehicle needs repairs, drivers in the Dallas-Fort Worth area can our parts center at Family Toyota of Burleson for genuine Toyota factory parts at a great price. 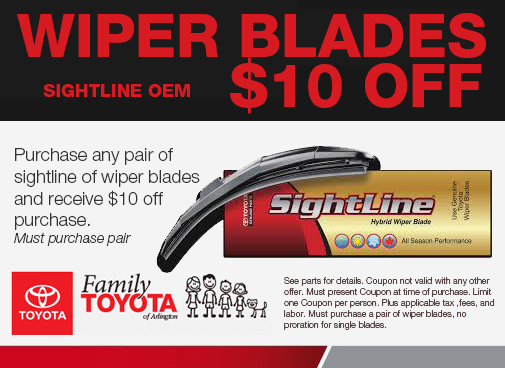 Drivers near Burleson can find the specific Toyota parts they need at a great price with our ever-changing selection of parts specials. Save big with discounts on items such as floor liners, air filters, oil filters, touch up paint and more in addition to discounts on your overall purchase. Keeping your vehicle high-performing doesn’t have to be costly. 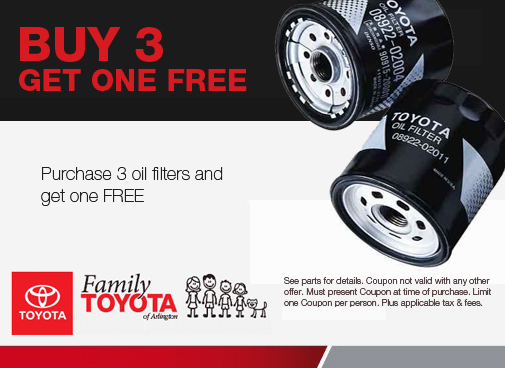 At Family Toyota of Burleson, we work to keep the prices low on our inventory of genuine factory parts and accessories. Why Buy Auto-Parts at Your Local Dealership? Many stores and websites have a wide-array of auto-parts and accessories at cheap prices. However when you buy from your local dealership, you’re not only buying quality parts for vehicle but also peace of mind knowing that these are genuine factory parts designed specifically for your Toyota vehicle. You also get the experience of our maintenance service technicians who can run diagnostics, suggest what parts your vehicle needs, and make installations you can rely on. We can also order the specific part your vehicle needs if we don’t have it in store. Simply let our technicians know and they can order the part and let you know when its arrived at the dealership! When you visit your local Toyota dealership, you are investing in the overall quality of your Toyota with genuine factory parts and expertise to keep your vehicle high-performing for many miles to come. 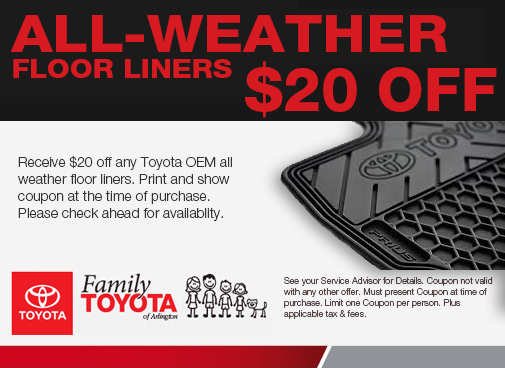 Contact or visit us today to learn more about our current inventory of parts specials at Family Toyota of Burleson for great prices on the parts and accessories your vehicle needs. Does your vehicle need a routine maintenance check or repairs? Simply schedule your next service appointment with us and come in for service techs to take a look at it. We look forward to hearing from you soon. Visit us to explore our current selection of parts in addition to test driving our latest Toyota Camry, Tacoma, or Highlander models and our pre-owned vehicle inventory in Burleson.